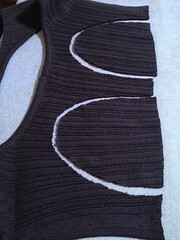 Instead of cutting below the armholes, I trimmed below the collar on this one. 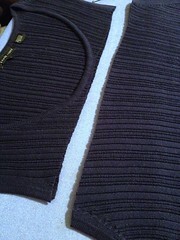 Then I used the upper back portion of the vest to fill in the lower half of the former armholes. 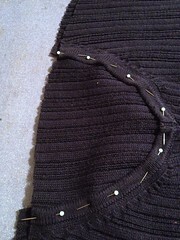 I used a straight stitch here since I didn't really need this seam to stretch. 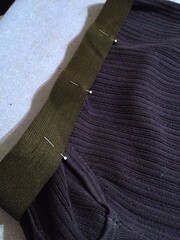 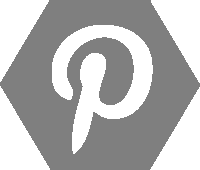 And then I just attached an elastic waistband with a zig-zag stitch, just like I did to the green skirt. 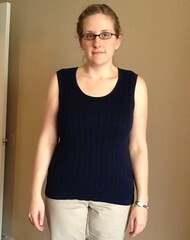 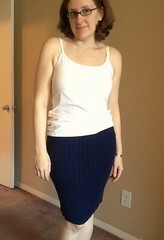 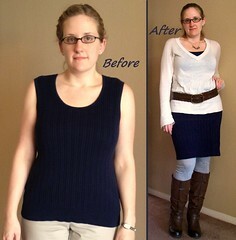 And now I've got another comfy knit skirt, but a little longer and with an interesting hip detail. 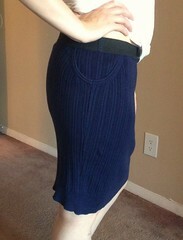 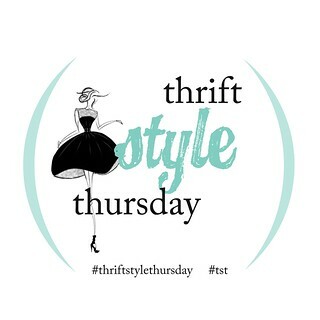 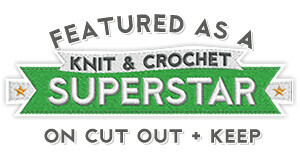 And it's perfect for cooler weather!